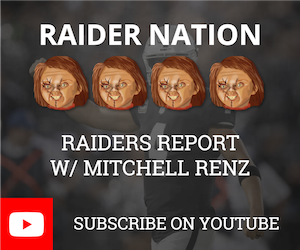 Today host Mitchell Renz breaks down the Oakland Raiders rumors around Charles Woodson possibly becoming the Raiders’ DB coach after leaving ESPN. Find out why the Raiders are mad at the 49ers. What is the best home location for the Raiders in 2019? Will Marshawn Lynch play in 2019? Are the Raiders destined to be great under Mike Mayock and Jon Gruden? Will the Raiders target and sign John Brown in free agency? Are you a die-hard Raiders' fan? If so, SUBSCRIBE to Raiders Report on YouTube breaking down the latest Raiders news and rumors! Interact with our host Mitchell Renz (@MitchellRenz365 on Twitter) & (@MitchellRenz365 on Instagram) to discuss the latest Raiders news and rumors! Charles Woodson Next DB Coach? Crave more Raiders Rumors Videos? Don't worry Raider Nation we got you covered! Watch every Raiders Rumor video on our Oakland Raiders' YouTube Playlist - Raiders Rumors!